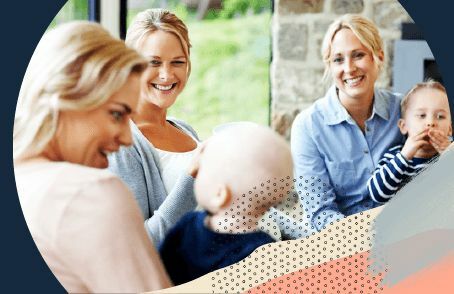 In this best Baby Bath comparison, you can find out what the Tell Me Baby community thinks are the top Baby Baths and Bathtime Accessories are on the market. Oricom Oricom Digital Bath & Room Thermometer $14.95 4.8 23 "We use this thermometer for every bath and it is awesome! 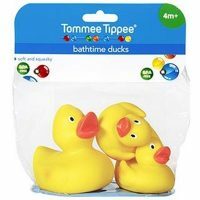 Bubs loves that its a duck and we have had no issues with it, It is very good quality and now after 6 months has only just run out of batteries which we have now replaced..."
Tommee Tippee Tommee Tippee Bath Time Tub Appliques $7.45 4.7 17 "Perfect for bath time! 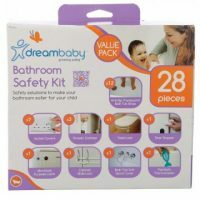 My son Is starting to be really fascinated over bright colours so I’m glad I purchased these because he loves them..."
Dreambaby Dreambaby Bathroom Safety Kit $24.95 4.7 12 "Good price for a good product. An array for safety items for around the home.. gets you set up and find a product you prefer and what works for your home to then be able to buy more of to keep your little ones safe..."
Safety 1st Safety 1st Froggy and Friends Bath Mat $9.99 4.6 13 "Great solution to prevent baby’s and toddlers from slipping over in the bath, it gives them grip and allows them to be safer then without one..."
Safety 1st Safety 1st Bath Toy Bag $9.99 4.5 26 "I love this storage solution for bath toys when not in use, it allows them to dry after use on their own. 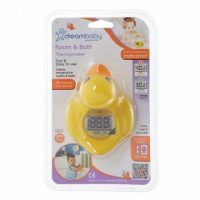 It sticks very easily and doesn’t take up much room at all..."
Dreambaby Dreambaby Duck Bath & Room Thermometer $19.95 4.3 25 "Love this duck. 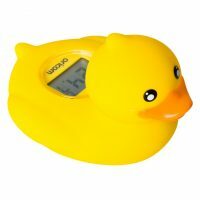 I was so worried about making my sons bath too hot for him but having this duck changed that so much! It's so accurate and easy to use for everyone..."
Disney Baby Disney Baby Bath Tub – Winnie The Pooh $29.99 4.2 19 "This is so handy. My baby give me really big happy smile to me everytime i take him to the bathroom because he love bath time so much i always make sure to make bath time to be fun time for him..."
Dreambaby Dreambaby Bath Tub Thermometer $4.95 4.2 13 "This is a brilliant product for in the bath, it assures you that the temperature is perfect for your little one and gives you piece of mind, great safety product and very well priced..."
Tommee Tippee Tommee Tippee Bathtime Ducks $11.70 4.1 40 "These ducks are great to keep my little boy entertained while in the bath, he loves animals so I knew they would be a winner. 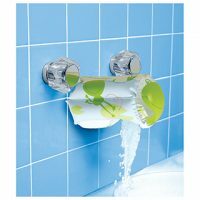 The bright colours are great, I love the pack comes with more then one..."
Safety 1st Safety 1st Soft Spout Cover $7.99 4.1 12 "This spout cover is great for protecting your little ones whilst in the bath, it gives you piece of mind that if they knock their head that’s it’s going to be hitting a padded cushion other then hard metal..."
There are lots of different baby baths and baby time accessories available to make bath time an easier and more enjoyable experience for both you and your baby. Whether or not you need a dedicated bath will depend on your family and also your bathroom set up. Not every house has a bath, or even a suitable sink for washing baby. 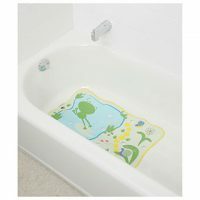 You can buy baby baths that you simply place on the floor and kneel down to bath your baby. Alternatively you can buy baths on stands, which are better for your back, and also have space to store all your other baby bath time accessories and products. While bath seats can be incredibly helpful to give you one free hand, especially with a squirmy baby, keep in mind that you cannot leave baby unattended in a bath seat. No matter how stable or secure they seem. 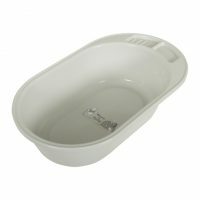 There are lots of different styles of bath seats to suit a range of ages and needs. Some are soft hammocks or cushions to gently support your new baby. Others are upright for your busy baby to sit up and splash around in the water. One great option if you just want to use your existing bathtub, but don’t want to fill it with water every time for just one small baby! These baby bath dams provide a waterproof seal so you only have to fill a smaller section of your bath. These are good for saving time as well when filling up the bath. While it can be very convenient to just bring baby into the shower with you, wet and soapy babies can be incredibly slippery to hold! You might want to use a bath seat, or a regular high chair in the shower, or you can buy specially designed shower high chairs for your baby. These are also a good option for someone concerned about their back and mobility as you can wash your baby while standing upright. Bath time is such a wonderful opportunity for play. 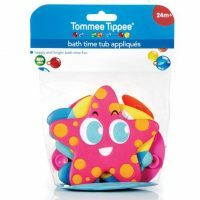 Exploring, pouring, floating, splashing – and there are so many different toys available to encourage bath time play. Bath Thermometers. I think these can be reassuring to new parents who are concerned about their baby getting too hot – or too cold – in the bath. Soft cover for the spout. 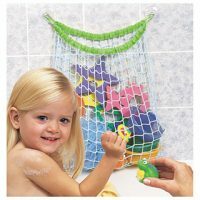 When baby is starting to get mobile in the bath you might want to cover the spout with some kind of soft cover, or even an inflatable sleeve, to stop baby from bumping themselves on it.